Size Medium Left Eared Enthusiast. Favourite activities... compiling a catwalk mix for fashion designer Marios Schwab, or playing for the crowds at Big In Japan. We love listening to one of tosh’s sets as you never no what he will play, bringing in back to the old school with a 70s disco vinly track or getting down and dirty in r basement. Playing along side a variety of artists like CSS, Simian Mobile Disco, Bang Gang DJs, Uffie & Feadz, Erol Alkan, Chromeo, DJ Yoda and Annie Mac. The Plastic Hearts take a look at our very special resident DJ's in a series of profiles to pay tribute to those BIGINJAPAN regulars who keep the kids dancing every single week! 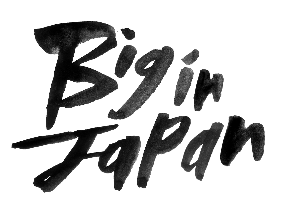 Lee aka one half of Geek Chic has been a regular member of the big in japan family. We love him because……..
"Guys, we need a name for you both to put on the poster for the back-room..."
... And so Geek Chic Soundsystem was born, fast becoming Bournemouth clubland's worst-kept secret, and establishing themselves as purveyors of choice for the town's seemingly insatiable appetite for noisy, electro-indie, techno-punk. Or, as they call it, "Music for people who should know better..."
On record, Ian Geek's bootleg and mash-up background combines with a passion for 80's synth-pop, with an strong ear for a hook, a hefty nod to the past, a finger firmly on the pulse of the current scene, and at least one foot on the dancefloor. With remixes already under their belt this year for The Long Blondes, They Came From The Stars (I Saw Them), Heads We Dance, We Smoke Fags and Boy + Girl. They are Bournemouth’s fav disco dual. Catch a set from lee geek chic at Big In Japan BI weekly, and go check out there night at postcards.